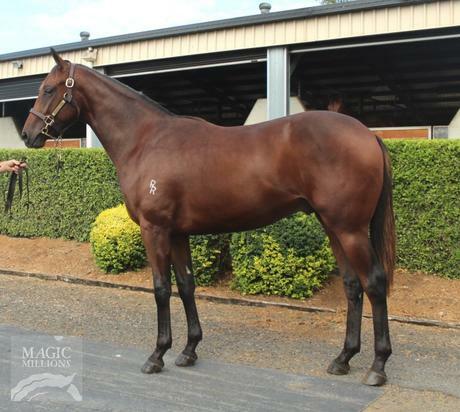 Join us in racing this lovely athletic colt by proven sire TOP ECHELON out of the Commands mare FLINDERS COMMAND. He's a lovely big strong athletic colt with a beautiful walk and plenty of depth to him. His dam FLINDERS COMMAND is from the family of stakes winners QUICK FLICK (16 wins), SUPER ESPION (10 wins), SO PRECISE (6 wins) and EL BANDITO (12 wins). His sire TOP ECHELON has sired over 85 winners including Group 1 Stradbroke Handicap winner RIVER LAD and OUR BOY MALACHI (Group 2 winner and the winner of 19 of his 27 starts). Hello, I'd like to know more regarding the horse 'Top Echelon X Flinders Command' you have listed as available.